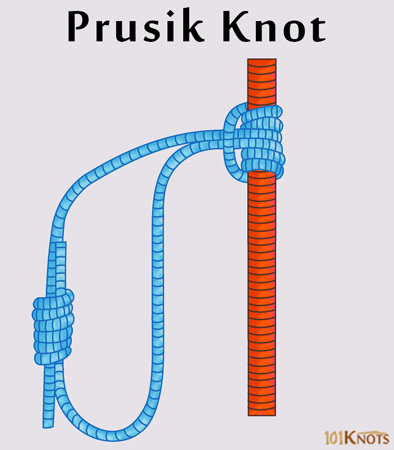 A Prusik is a knot primarily used to attach a loop of cord to a rope in a way that it can be easily adjusted. Hence it can also be termed as a type of friction hitch. Prone to be misspelled as Prussic, Prusic, Prussik, Prussick and Prusick, the correct spelling can be borne in mind once you know the name of its inventor, Austrian mountaineer Karl Prusik. The knot also has a verb form, known as “to Prusik”. 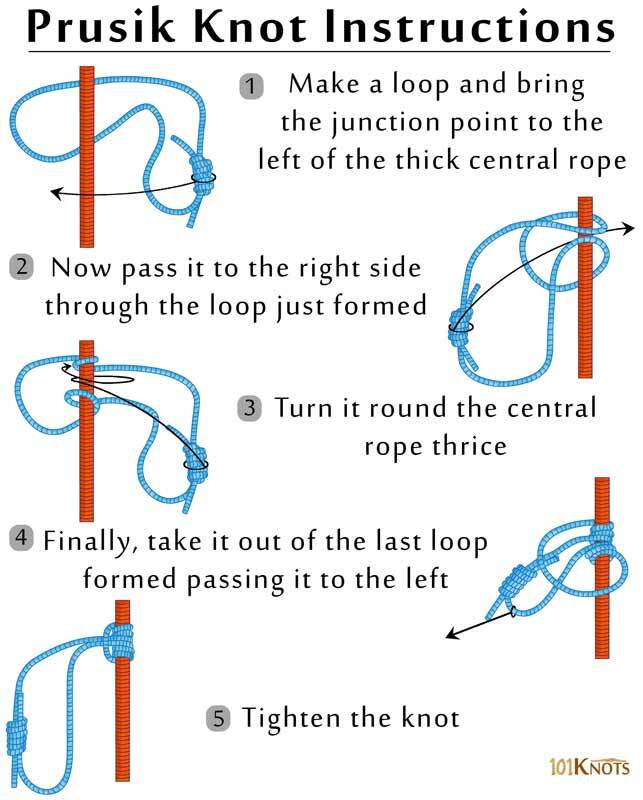 You will have to make the cord loop with a double fisherman’s knot or a triple fisherman’s knot before starting off with the tying procedure. Though different factors govern the length of the cord including its diameter and the height of the person using it, you can use 1.2 -1.5 m length of a 5 mm cord on most of the thicker varieties of ropes. Many mountaineers recommend keeping the diameter of the cord no more than half of that of the rope for best results. The French Prusik knot – Works with webbing as well as cord. It can be moved once it is weighted. Purcell Prusik knot – Employs a pair of Prusik loops. Though it can be done with a thin rope, when done with cord, it does very little or no damage to the rope that it is tied to. Can secure a pulley block purchase system on a climbing rope. Not recommended for use during descending. Mainly in climbing since it can grab on to a rope firmly. A longer Prusik loop reaches out to support the climber’s foot while a shorter one is attached to the harness for sitting. As a rappel or abseil backup. On a hammock ridge line to secure essentials like lights and water bottles. To hang your tarp while camping. Helps ascending during rescue work. Aids arborists and tree stand hunters. Creates an adjustable anchor point. As handcuffs, though a handcuff knot better suits the purpose. In kites, lifelines and safety lines. The Prusik is ideal if you know that the load may be applied in any direction. However, if it is always applied in the same direction, consider the Bachmann or Klemheist knots.